Bethany Oceanfront Homes! If you want to get some sand between your toes and enjoy commanding Delaware waterfront views but want to get away from the bustling beach crowds, then Bethany oceanfront homes should be at the top of your real estate shopping list. Bethany is a bit more quiet than neighboring towns, enjoys a longer strip of oceanfront, and boasts a scenic boardwalk that hosts an arts festival and other cultural events. See more Bethany DE oceanfront homes currently for sale on the regional MLS/IDX system. Call to check on availability and price changes. 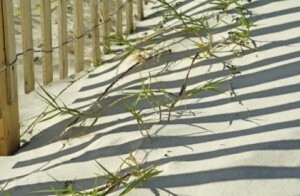 Bethany residents and community leaders are resolute about preserving the natural beauty of the area and of this creates a strong demand for Bethany DE oceanfront homes, and is proactive about protecting dunes and beach replenishment. The high quality of life and this prime strip of waterfront means that Bethany DE oceanfront homes yield high rental returns. Retirees appreciate Bethany Beach for the low Delaware taxes. Delaware has no sales taxes and low real estate taxes. This is the perfect place for your retirement. Its quiet neighborhoods give retirees the perfect place to practice their golf swing and their stance in peace. It also helps that that at least one of those quiet neighborhoods, Sea Colony, has a Tennis facility been selected and named as the 2012 U.S. Tennis Association Outstanding Facility of the Year. However, tennis isn’t the only activity families or retirees will enjoy. Enjoy bandstand music from the U.S. Navy Commodores, the AARP chorus, and an Elvis Impersonator. From countryside stands to Island bicycling, beachfront bargains in Delaware are the perfect choice for a great lifestyle. These ocean front communities also offer families, tourists, couples and single adults a wider range of fun activities to consider doing. Do you like to cycle and explore new areas? The seven-mile stretch near Assateague Island allows visitors to possible see the wild horses roaming the area. Alternatively, are you a shopaholic? With more than 140 stores, it may take more than a day of shopping until you drop to see all the shops in the Bethany Beach area that are not far from those luxury Bethany Beach homes for sale. Love your veggies? Countryside vegetable stands abound around the oceanfront communities near Bethany Beach in Delaware. Never hurts to pick up some fresh corn or tomatoes during a quick drive inland and end with an evening stroll down the main drag of Garfield Parkway. There you can find you favorite boardwalk goodies, such as warm hot dogs, fruit slushes, and french fries. Looking for more of a thrill? Enjoy the water parks and roller coasters to the south and north of the bargain beachfront property in Bethany Beach in Delaware, near Rehoboth Beach. Many of these vegetable stands may be located near Bethany Beach homes that are for sale. Sea Colony is by far the largest community of Bethany DE oceanfront homes and is one of the largest tennis resorts in the United States. In fact, a 2012 issue of Tennis Magazine recognized Sea Colony “among the top 50 tennis resorts in the U.S.” and the “No. 3 tennis resort in the Mid-Atlantic Region.” Sea Colony is famous for world-class tennis instruction, and offers tennis lessons on 34 indoor and outdoor courts. Residents of Sea Colony also have access to two fitness centers, twelve pools, basketball courts, and can enjoy strolls along half a mile of private beach or along the Promenade for beautiful nature walks with tremendous ocean views. Bethany Delaware oceanfront homes in Sea colony are a top pick for those who want an active lifestyle. Sea Colony homes also attract investors who can frequently charge weekly rental fees over $3500. Sea Colony offers the largest and most diverse selection of beachfront properties; affordable options include 1 bedroom, 1 bath homes in the 290’s and ocean view penthouses in the 300’s, replete with designer furnishings and plenty of updates. Upper end selections include $1M+ units with wraparound balconies and huge floor plans. Sandpiper Village is community of upscale Bethany DE oceanfront homes that also features a wide selection of luxury inventory, including six bedroom, six bathroom single family residences that command rental fees of $600 per night. Call us for a private tour of Bethany Beach DE oceanfront homes or for comprehensive background information about the market for Delaware beachfront homes.